12 Labours of Hercules V: Kids of Hellas is rated 4.7 out of 5 by 7. Rated 5 out of 5 by pik62 from Hercules V I have bought all seven of these 12 labours of hercules games and can't wait for more to come. My kind of game. Rated 5 out of 5 by biscuitsmama from HERCULES & FAMILY FUN Even though I claim not to be a fan of the TM genre, I must admit that there are some very good TM games that I really enjoy. Lately after suffering a meltdown of boredom with the HOPA type games, in desperation I turned to my older TM games. I have to say the Hercules games and in particular Kids of Hellas are a hoot to play. It is quite a bit of fun to meet the goals and overcome the challenges that come my way as I help Hercules save the kids. I am not good at TM games and am a self-avowed hater of anything that reeks of “beat the clock”. I had enough of TM with professional deadlines to last a lifetime when I was working so now I kick back and totally avoid any type of game that pits me against a clock. What I love about 12 Labours of Hercules is the Relaxed mode of gameplay where I can play at my own pace. I know that gamers who dislike HOPA games because they say they are all alike don’t acknowledge the same feelings towards TM games because in reality they are virtually the same premise because you are always looking for food, constructing roads or buildings of various types, or completing other tasks to reach your goal. 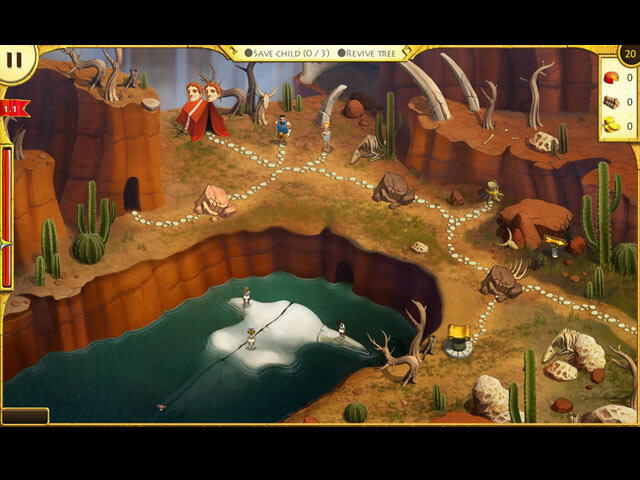 The Hercules games are a lot of fun and I am one day going to play them again at a higher level of difficulty. For now I am simply enjoying the humor and gameplay and the fun that is built into these games. Happy Gaming! Rated 5 out of 5 by TwitchyRich from A truly herculean game! This latest instalment in the 12 Labours of Hercules series is as good as all of the previous titles. Fresh yet familiar gameplay will keep you fixed for hours on end. 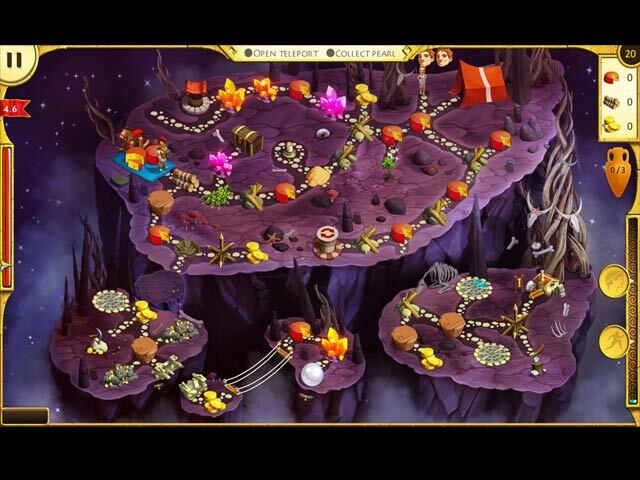 Progressively more tasking with each level, try to achieve all gold times! I challenge you! Rated 5 out of 5 by barbspin from Love this series! Fun game without annoying character dialog when running for the objects. Fast enough paced to stay fun. You can pre-assign tasks to speed things up, too, which I like. Suggestion: next in series should have Hercules and Megara battle the mythic monsters and shades of the victims! Rated 5 out of 5 by pennmom36 from Nothing Worse Than Zombie Kids (except fast running zombies, right?) Ares has asked Hercules to join his army and conquer the world. When Hercules refuses, Ares becomes infuriated and masterminds a crazy plan. 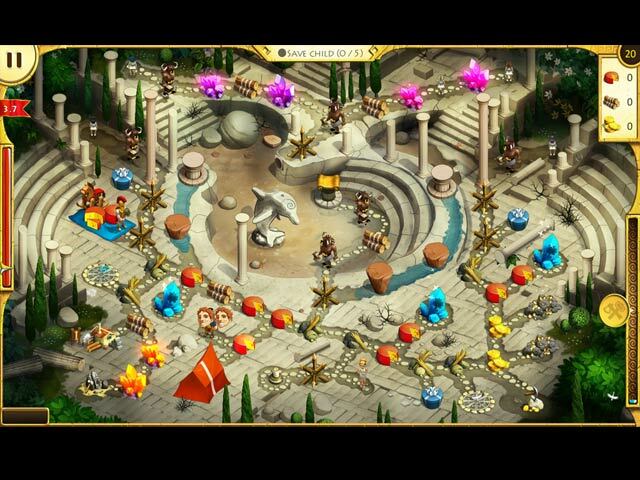 The God of War gives the children of Hellas enchanted toys which turn them into zombies! It's now up to the big guy to find and destroy the toy factory and save the children. Megara joins her husband Herc, on this adventure, restoring the lands, and helping tree saplings grow with wicked speed. Hercules must carve a path throughout the lands, removing boulders and landslides, freeing prisoners and returning the children home safely (and unzombified) There are three different modes of difficulty, Relaxed, Casual and expert, and every level that is completed within Gold Time (3 stars) will reveal a part of the ancient castle which I believe is supposed to be Mt. Olympus, but I could be wrong on that one. Each level has a puzzle piece to find which looks like an ancient rune tile, I always look for the puzzle piece before clicking on anything which starts the game, that way I don't forget about the puzzle piece or waste time searching for it. Some levels have ancient jugs that will give you 100 extra points when you click on them. You can replay any of the levels to try to get a better score or if you forgot the puzzle piece. After about 10 levels, you get to assemble a mosaic puzzle with the puzzle pieces you have collected. The Collector's Edition has several Achievements to earn for tasks such as collecting a resource after completing the level tasks, completing the level without using bonuses or finding 10 puzzle pieces. As you progress, different bonuses are made available that can be used each time the meter refills, such as more Resources, or Faster workers, but the effects are only temporary. There are the usual tasks of building and upgrading farms, sawmills, goldmines, and even outposts that house workers that are far from home, clearing and repairing paths, and collecting food. Each task requires a certain amount of resources to complete and when you scan over a task, the requirements needed are shown as well as the resources you are lacking to complete the task. You can click on several tasks to have the workers complete, a checkmark will appear on the item for every available worker, and flags will queue the rest in numerical order until a worker is free. In Relaxed and Casual modes, the tasks available are circled in green, yellow indicates you will be able to complete the task once the resources collected are delivered to the base camp, red indicates the item is either blocked or you don't have enough available resources. Hercules is the go to guy for removing things no mere mortal could accomplish, and there's always an abundance of boulders and landslides. The Collector's Edition has 9 Wallpapers, Achievements to earn, (which can be viewed on the level map) Collectible Puzzle Pieces, Puzzles to complete once all the pieces have been collected, a built in Strategy Guide and a Bonus Episode with a whole new story and level, but in my opinion the CE offer's so little that this Standard Edition is the better value, enjoy! Rated 3 out of 5 by Doylescat from This just didn't grip me There is nothing particularly exciting about this game. It's about running around picking things up but I like there to be a need for a strategy and there is little need in this game. I did buy it hoping that the game would develop as it went on but sadly not. I'm bored now as all the levels feel the same and it's not very challanging.